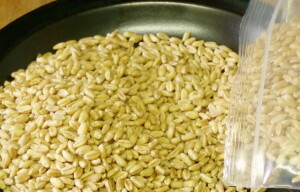 Wheat has been a staple food in Asia, Northern Africa and Europe for millennia. 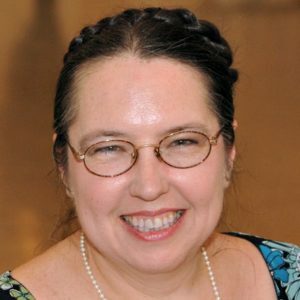 Even people in largely rice eating cultures eat wheat – breads in India, and noodles and dumplings in China, for example. Then European settlers brought wheat to the Americas and Australia, and it is now a major crop world wide. I’m seeing a serious backlash against people who avoid wheat, which bothers me. Different people have different bodies, and I do not think anyone of us should be telling others what we think they can or cannot eat. I know several people with very unusual food allergies or sensitivities, some of whom have ended up in the Emergency Room with reactions after some other person decided they didn’t really mean they couldn’t eat (whatever…) Others don’t have that severe – or immediate – reaction, but can go through days of feeling unwell if they accidentally ingest the troublesome food. So, in general, if someone tells me that they cannot eat something, I take them quite seriously… even if this is something I know they ate before. (They may not have yet identified the cause of their symptoms. Or they may not have yet been bothered by it – allergies do change.) At the same time, I do not go around telling other people not to eat food that bothers me, as they do not have my body. Most people can and do eat wheat with no problem, but some cannot, and each person must determine this for himself. And, meanwhile, wheat continues to be one of the most widely eaten foods in the world, and most – not all – people thrive on it. Most wheat, worldwide, is eaten as either bread or noodles, made from flour. 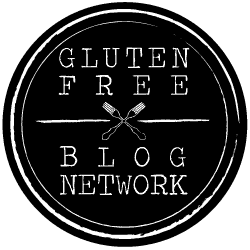 For the purposes of this blog, I’m going to assume that anyone who wants to eat bread or pasta knows where to get it and what to do with it… I’ve been writing about whole grains that can be used with other food served over them, or as a side dish itself. 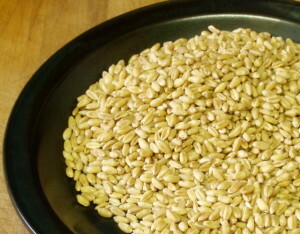 Hardly anyone really eats a pile of wheat kernels (often called wheat berries.) They are always processed in some way. 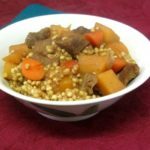 The closest we usually get is bulgur wheat. 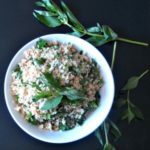 Bulgur wheat is whole wheat that has been cracked and parboiled so that it cooks very quickly, which is a great advantage. 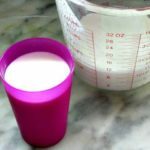 You pour the grain into boiling liquid, return it to a boil, then remove it from the heat and allow it to rest for 15-20 minutes. (It became my go-to whole grain for camping, because once it returned to the boil I could take it off the propane stove.) It is usually cooked in water, but can also be cooked in broth, or a mixture of broth and milk, or as a pilaf. And it is wonderful as tabbouli. 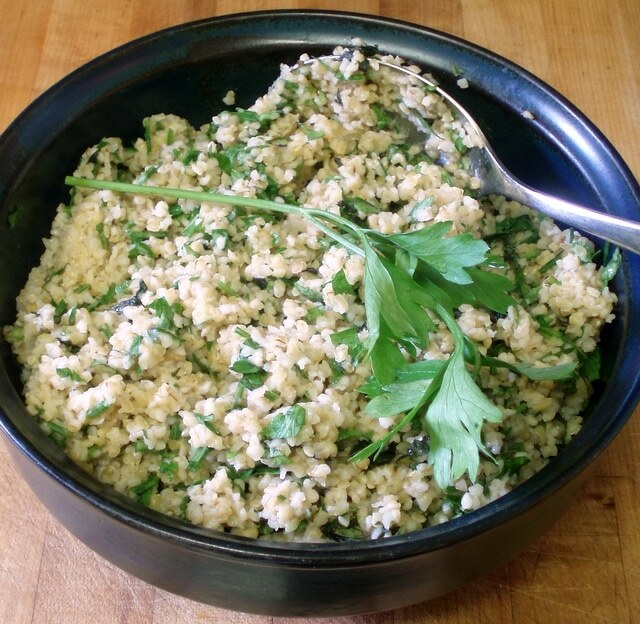 Tabbouli, or tabbouleh, or… several spellings… is a Middle Eastern salad. I have found that American versions are usually a grain salad flavored with parsley, but in Middle Eastern stores what I see is usually closer to a parsley salad with some wheat added to make it a little more substantial. I sort of hit the middle, usually decided, really, by how much parsley I have. 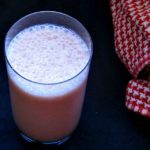 The original version also has fresh mint, which I sometimes see left out – and sometimes leave out myself, if I don’t have it… but I do miss the mint if I skip it. It’s really very simple. 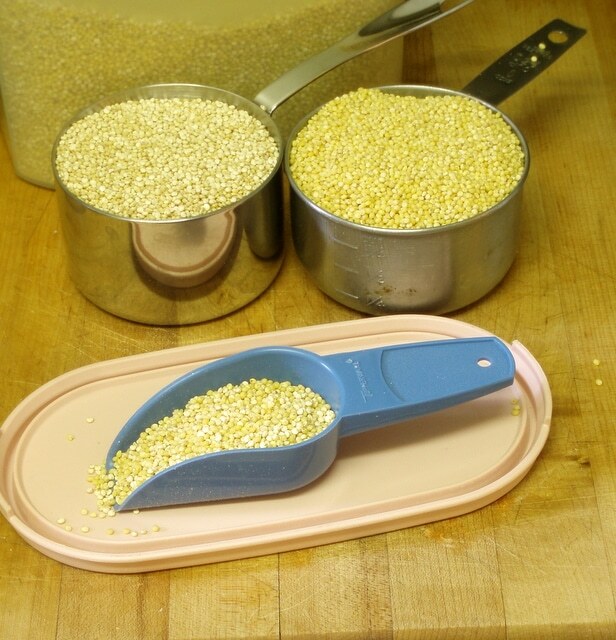 I brought 2 cups of water to a boil, and poured in 1 cup of bulgur wheat. I returned it to a boil, covered the pot, turned off the heat, and let it rest for 15 minutes. At the end of that time, I removed the lid. There was a little water still at the bottom, not fully absorbed, but I fluffed the grain, allowed the steam to escape, and it was all dry within a few minutes. I fluffed it a little more, left the lid off, and allowed the grain to cool for a few minutes. Then I added 3 tablespoons of lemon juice, and stirred it around. (Ideally, this would be the juice of one fresh lemon – but I didn’t have one, so I used bottled juice, which I keep on hand.) Once it was mixed in, I added 2 tablespoons of olive oil, and stirred it all well. Then I set the grain aside to cool. While it cooled, I chopped the herbs. 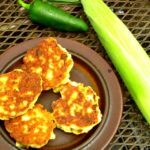 I had gotten both parsley and mint from the CSA – the reason this was the perfect recipe this week! 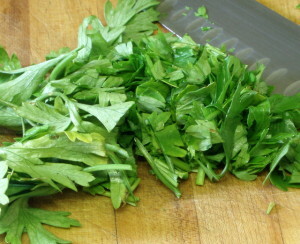 I stripped the leaves and smaller stems from the main stems, which get stringy and coarse, and minced them, using a small bunch of parsley and about half that amount of mint. I chopped each alone to begin with, and then mixed them and minced them together. 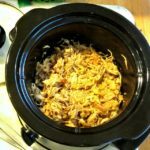 I estimated this largely by eye, influenced by the amount I had, but then I measured, and found that I had roughly a cup of the finely chopped herbs. The amount really can vary considerably – work with what you have. Then I checked the grain again. It was still warm, so I fluffed it some more, and let everything rest a while longer. 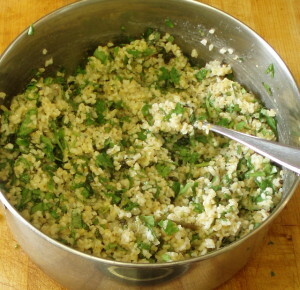 The grain should be room temperature (or cooler) before adding the herbs, so they don’t wilt. About half an hour later it was cool enough, so I blended in the chopped herbs. I served it at room temperature, which is really the idea for flavor, though it’s fine chilled. Tabbouli is a wonderful addition to summer salad lunches. It carries well, so is particularly useful if you need to carry a lunch, especially if you can’t refrigerate it. 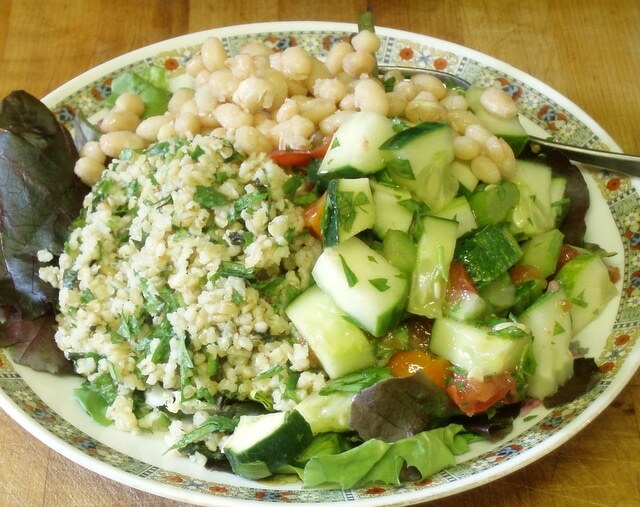 I like it with the health salad in my last post – and, in fact, have been eating the two together all week! 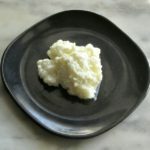 And again, it is very useful for a buffet in hot weather – you don’t have to worry about mayonnaise or any other ingredient turning, and it really tastes best at room temperature. Bring water to a boil. 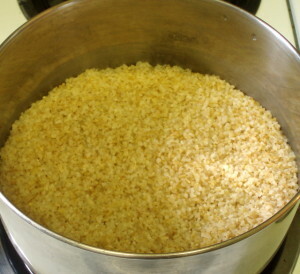 Add the bulgur, and return it to a boil. Cover pot, remove from heat, and let rest for 15-20 minutes. 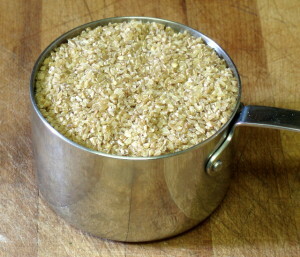 Remove the lid from the pot, and fluff grain to allow steam to escape. Mix in lemon juice, and then olive oil. Let grain cool to room temperature.